Event though the tablet concept came in 2000, it didnt make the market a hit. When Apple first introduced its iPad in 2010, the world has accepted the tablet concept with full heart. Since 2010, many manufactures, Samsung,HTC, Azus, Dell etc.... came with tablet , this year its going to be a new start. Its going to be some thing like mobile phone , every one will start carrying tablet. When apple introduce its cost approximate $499 onward. But right now , the situation has changed a lot. I could say , Google's Android had changed a lot and it helped other manufacturers to enter into tablet market. When Aakash is a low-cost tablet computer with a 7-inch touch screen launched in India , for $35 , it became and instrument that any one can buy. 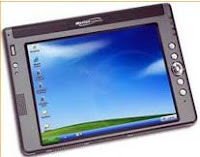 Now many manufactures has come with , high performance tablet for Less than $250 . Indian manufacture HCL ME U1 has been introduced with a price of Rs 7,999 (Appr $160) , the HCL MyEdu Tab - K12 Version is priced at Rs 11,499( Appr $230) . Right now all the educational web site are busy creating Apps for the android, since they know , in less than 2 yrs , all the books will be replaced by Tablet + 3G + Cloud storage.